” Wish a Marine Corps Veteran (active or retired) a Happy Birthday! 10 Nov 2016 Comments Off on Marine Corps- Happy Birthday! I’ll reply with what I’ve done. I have celebrated. I have mourned. I have smiled and I have frowned. I have seen death and felt its warm breath. It did not faze me, for I was different. You ask me what I was? It was my destiny. Until my last breath. To be a United States Marine. And my spirit shall live forever. 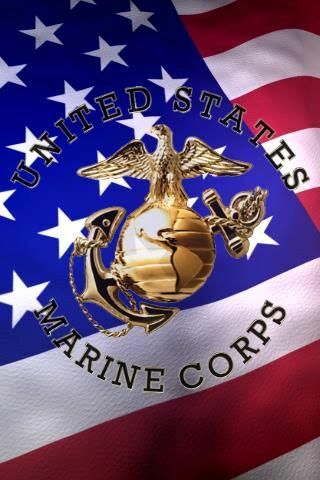 Today my husband celebrates the 240th Birthday of the U S Marine Corps. The U S Marine Corps celebrates its 240th Birthday today. Throughout history, Marines have faced tough times and challenges from 1775 when they were founded to today. Marines have always excelled. They train hard and their training is always respected. “Send in the Marines” is not a catchy phrase. Today, Marines from all generations gather in groups large and small to celebrate the birthday of the Corps and to reflect on the legacy and warrior ethos that they share. The Birthday Ball is rich in tradition. The ceremony involves the reading of the first Commandant’s message, the birthday message from the current Commandant, a guest speaker and a cake cutting ceremony. The first piece of cake is given to the guest of honor. The second piece is given to the oldest Marine present. Upon receiving the second piece of cake, the oldest Marine passes the cake to the youngest Marine present signifying the passing of experience and knowledge to the young of the Corps. Today my husband celebrates the 239th Birthday of the U S Marine Corps. The U S Marine Corps celebrates its 239th Birthday today. Throughout history, Marines have faced tough times and challenges from 1775 when they were founded to today. Marines have always excelled. They train hard and their training is always respected. “Send in the Marines” is not a catchy phrase.